Full “GOOD FAITH EFFORT SERVICE” including: Letters to Subcontractors and Suppliers, Agency and Organization Contacts, Advertisements and more (Click ﻿﻿﻿﻿here﻿﻿ for pricing, detailed information on Full Good Faith Effort Service and order form or see Good Faith Order Form below). Need help with your Good Faith Effort? 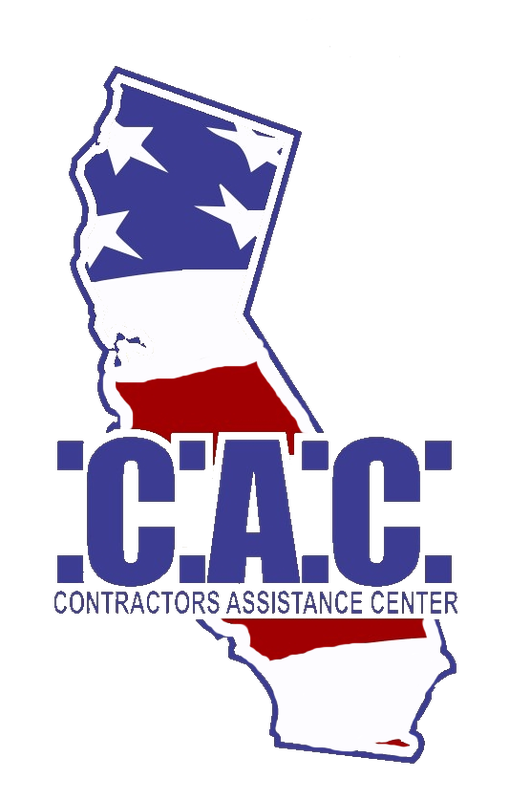 Contractors Assistance Center has a "Full Good Faith Effort" outreach service. Just click on the appropriate button below to see information and low cost pricing regarding these services. Outreach to DBE, MBE, WBE, DVBE, SBE, LBE, OBE's. Low Cost ﻿﻿﻿"TRADE & FOCUS" Good Faith Advertising starting at only $22.50 per ad - Click below to view pricing, sample advertisements and the order form. Both trade and focus publications are published every Tuesday and Friday.﻿﻿﻿ (Click here for pricing and order form or see below). Ordering is so simple. Just complete the form, fax or email it, or if you have your own wording simply fax or email it with the size you would like.